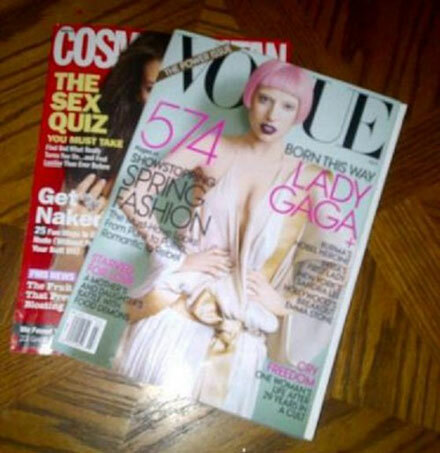 This is the first look at Lady GaGa‘s new American Vogue cover for the March 2011 issue of the fashion magazine. Fashion photographer Mario Testino shot Lady GaGa’s cover last November at the Museum of Fine Arts in Antwerp, Belgium. The Grecian-style dress and the pink wig make a strange but interesting combo. Can’t wait to see the complete cover photoshoot. I’m also sure the new interview titled ‘Born This Way’ will reveal some more shocking secrets of Lady GaGa’s life. Tell me your thoughts about Lady GaGa’s Vogue March 2011 cover – Hot? or Not?